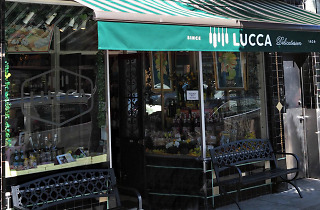 Mike Bosco opened Lucca in 1929 in the former garage of a three-story apartment building. 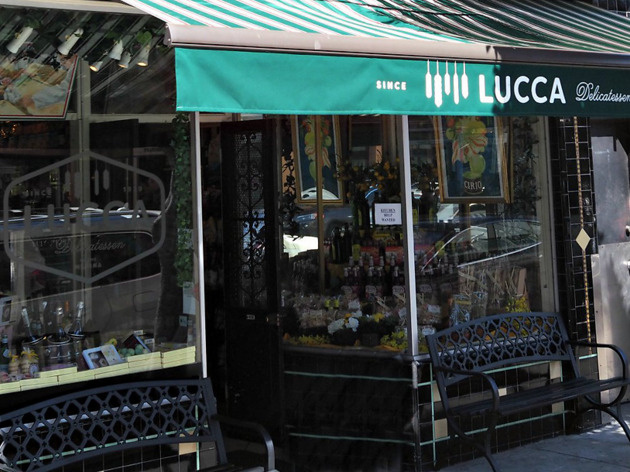 It’s now run by his grandchildren, Paul Bosco and Linda Bosco Fioretti, but the look and feel of the narrow, old-school Italian deli remains very much the same. Prosciutto and salami still hang from the ceiling and adorn the front window. (They even age cheeses on the same rack.) Follow the store-spanning deli case to the back, where you’ll find a display laden with Rocca Parmigiano-Reggiano and Locatelli Pecorino Romano. Peruse the marble board filled with over 50 kinds of cheeses from Denmark, Italy, Vermont, and Wisconsin. The spot takes pride in sourcing organic cheese from makers that avoid genetically-engineered hormones, like Straus Creamery, Sierra Nevada Cheese Company, Springhill Cheese, Organic Valley, and Cowgirl Creamery.